If you are not currently a member of www.LIMSforum.com you will want to join. It is now the largest and most active non-commercial, community driven LIMS group on Linkedin today. The group was started exactly 5 months ago today with 1 member and has exploded to over 2,350 members in that short period of time. 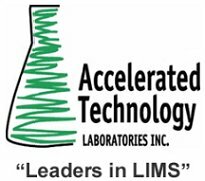 The reason for this great success is the fact the the group and all of the subgroups are entirely community driven and where all stakeholders including user, vendors and consultants in the laboratory and LIMS industries are encouraged to post and share information. The following Slideshare presentation provides an interesting perspective from a scientist’s point of view regarding what is known as Social Media. There is a lot of hype today in the press and around the office water cooler concerning “Social Media”. Don’t get snowed or overwhelmed by all this stuff. It is practical and can be useful to all scientific professionals and at a level that everyone can relate to. Thermo Fisher Scientific Inc., the world leader in serving science, today announced that Millipore has implemented Watson LIMS (laboratory information management system) within its Preclinical and Clinical Development Services group located in St. Charles, Mo. Version 5.2.5 of Autoscribe's Matrix Gemini LIMS has been released. No custom code or use of esoteric basic scripting languages is required for OneTime configuration of MAtrix Gemini LIMS desktop and web clients. This is in line with current GAMP5 recommendations. 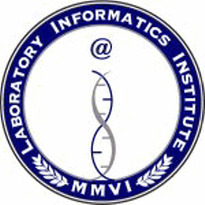 Ocimum Biosolutions today announced that its specialty life science Laboratory Information Management System (LIMS), Biotracker™ has been awarded the prestigious caBIG® (cancer Biomedical Informatics Grid®) Bronze Compatibility Certification by the National Cancer Institute, an institute of the National Institutes of Health, U.S. Department of Health and Human Services. Autoscribe continually strives to improve both its products and the service that it provides to the users of the Matrix LIMS software. Thermo Fisher Scientific Inc., the world leader in serving science, today announced that Aguas y Saneamientos Argentinos (AySA), a water and waste water company serving the City of Buenos Aires and its suburban areas, has selected Thermo Scientific SampleManager LIMS (laboratory information management system) to improve quality control processes in its local and regional laboratories. 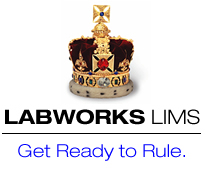 Laboratory Information Management Systems, or LIMS, is a new idea in an old field - information management. Older Laboratory Informational Systems, or LIS, has been a part of laboratory informatics for decades, and has had its share of problems.